Back to back BLAC. Sunday saw round 6 of the qualifiers fished on a huge stretch of the Grand Union Canal, close to the M25. There's been a lot of debate over the blind pairs format of these comps, but Sunday was a prime example of how well it can work. I was paired with local(ish) angler Mike McGuire. Although familiar to me, our paths had not crossed directly, until Sunday. The luck of draw had thrown us together, but it took no time at all for us to realise we had a lot in common - specifically the way we were approaching the competition. 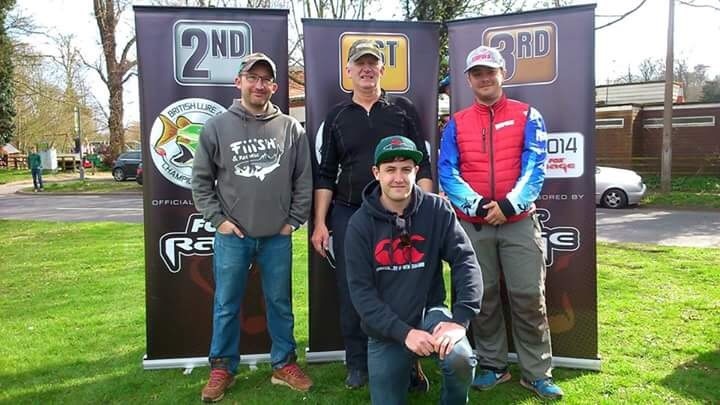 Mike was committed to targeting smaller Perch to earn his qualification through to the final and had a plan - both location and method. I was only too keen to follow. Although it was another fairly slow start, we both found the odd 12cm Perch to give us some encouragement. It gave us a chance to chat about our experiences and learn from each other. I was more than pleased to trade Mike's match fishing knowledge with my experience of modern techniques and tackle. I particularly enjoyed Mike's enthusiasm to do well. It wasn't long before it felt like we were working as a team with a common goal. Calling out the location of the odd bite early on, and later systematically working separate areas to find new pockets of fish. For a comp, this felt a lot like pleasure angling. Our catch rate seemed to ramp up through the day. I believe it's because we started to realise how the perch spawn was affecting things. My 'accidental' switch to Dropshot was a turning point. But if I'm going to pat myself on the back for something, I did notice it improved things. I think Mike followed suit thinking it was part of some tactical master plan - but the reality was I didn't change back to Jighead when I normally would. The important part however, was that Mike improved our approach further still with a lure change. Following an obvious increase in catches - including a cracking, scale-perfect Chub - I duly followed him, disposing of the old faithfuls and mimicked best I could. It worked and I learned a new trick for future sessions. It's funny. At the end of the match I thanked Mike for his company and commented just how much I had enjoyed the day. His response was something like, "Why wouldn't you?" It made me realise that I have fallen into the trap of justifying my small Perch approach - it's not everyone's cup of tea - but highlighted that a growing number of others find it equally fun. Not just a way to fish qualifiers. "Hi. My name is Adam and I like catching small Perch." Mike fished spectacularly well all day. When I totted up our cards, the result came as no surprise to me. He'd pipped me to the top spot. 272cm to 256. Top angling Mike! What a great match. Can't sign off without saying congrats to my favourite gypsy, Greg, who found his form towards the end of the competition with a string of Pike for third place. Wouldn't be a final without you mate. And to young, Conor Duffy for taking 4th spot. Well in my friend!